Are you looking for a career in Allied Health? Healthy Bodies Physiotherapy is a multi-disciplinary allied health clinic. Its services currently include Physiotherapy, Exercise Physiology, Remedial Massage and Group Rehabilitation including Hydrotherapy and Clinical Pilates. The team are a close unit and regularly meet to assist each other in developing their knowledge and skills as well as managing challenging clinical cases. The clinic has a purpose-built rehabilitation gymnasium that features state of the art equipment including Pilates Reformers, Trapeze Table, Squat Rack, Weightlifting Platform, Bench Press, Barbells, Dumbbells (1-65kg), Exercise Balls and more which spans across a spacious 60 square metre area. 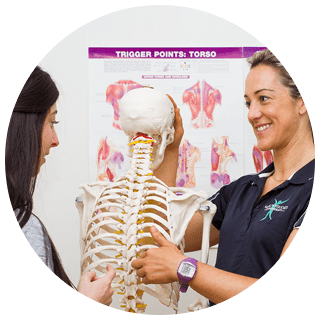 Our approach to health care is aligned with the latest evidence based practice and helps our patients to achieve their goals whilst providing a fun, fulfilling and dynamic work environment.